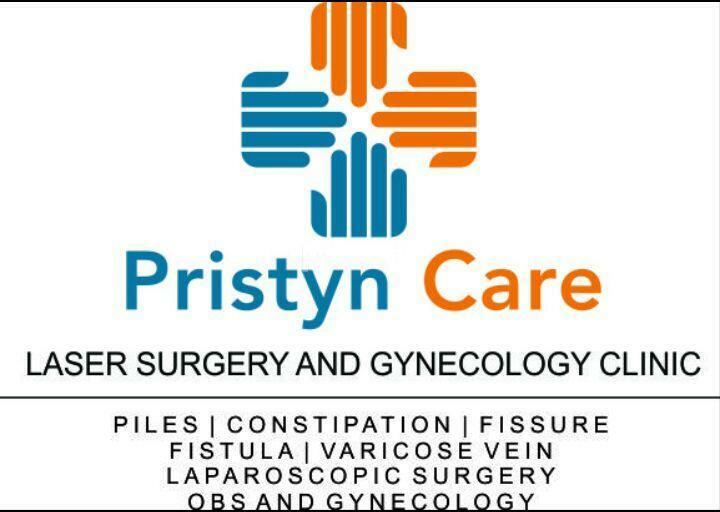 PristynCare laser clinic It is North India 's 1st Dedicated advanced Laser treatment centre for proctology ( piles ,fissure ,fistula in ano ,pilonidal sinus ) and varicose veins .We at Pristyncare have and use the latest and most advanced laser equipment (Diode laser equipment ) .Prsityncare also has dedicated and experienced laparoscopic surgical experts who perform minimal invasive procedure and day care procedure for Gall Bladder stones , Abdominal wall and inguinal hernias ,Anti -reflux (GERD) surgeries , Weight loss (Bariatric) Surgery .PristynCare have experienced and expert Gynecologists who deal in adolescent girl issues like PCOD /PCOS , Treatment of Urinary tract infections ,conducting safe Normal delivery and C - sections .Basic and advanced Laproscopic gynecology procedures are routinely performed by expert Gynecologists here.Pristyncare has a separate unit for patients requiring Cosmetic Gynecology procedures like Vaginoplasty ,Hymenoplasty and Labioplasty.PristynCare Laser & Gynae Clinic is credited with performing 1st ever laser surgeries at Karnal also.Your Eternal Health PartnerPristyn Care Laser Clinic striving for better health with latest tactics and personal support. Consult specialists for chronic health issues, Get professional Treatment and Go Home quickly.Time has gone for the painful stitches and Higher Risks! We are here with far improved techniques serving as a guardian with soft hands and immense care. At Pristyn Care Laser Clinic, we assure you to bring your good time back. Your family Doctors are near to your home. Contact us anytime as we love to hear from you.Qualified & Experienced Specialists:- Meet our specialists for the particular disease and health problems to get the optimal consultation. We are happy to offer expert guidance under personal support.Effective and Proven Treatments:- Our motive is to improve the health by offering timely treatments and changing lifestyle. Safety and medical standards are followed to ensure proven treatment.Latest Technologies Used:- We only use best laser devices and latest tools to treat the patients. Long-term health is our priority by lowering the future risk.